How Far is Thirumal Nagar? Thirumal Nagar, a residential project located in Chennai, developed by one of the well-known developers in the city, this project offers carefully crafted plots for sale in Tambaram East. This project has spread across acres with beautiful plots of different sizes. 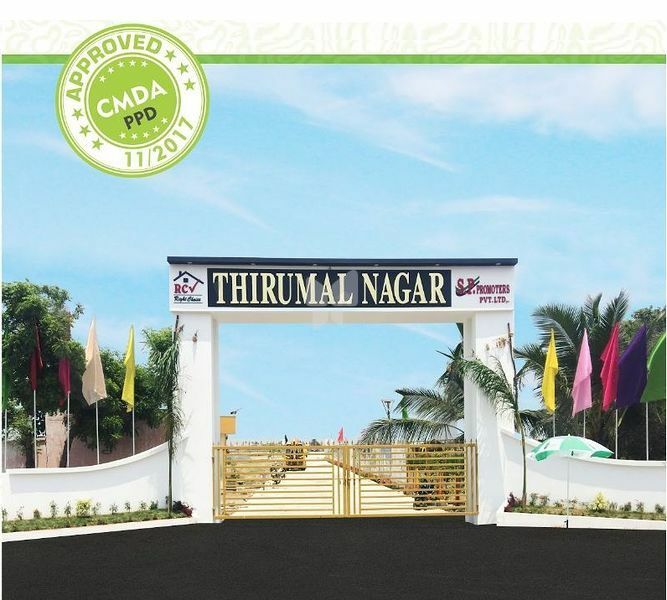 Thirumal nagar is a (CMDA Approved Project) Gated Community Plots located at East Tambaram. Thirumal Nagar is located in one of the well-known localities in Chennai at Tambaram East, It is strategically located close to educational institutions, colleges and to companies. With the best transportation facilities, local trains are also there. Come and buy the perfect plot to build your dream home. A home as you imaged all these years. You can apply the color of your choice and choose the design of interiors and exteriors. Surrounded by health environment you can lead a healthy and prosperous life at Thirumal Nagar. This project consists of different sized plots to make sure the plots buyers get the perfect plot to build their dream home without any hassles. Along with all these advantages and best in class plots in Tambaram East, Thirumal Nagar offers many useful amenities too. Fully Surrounded by Schools, Colleges and Residential Townships.